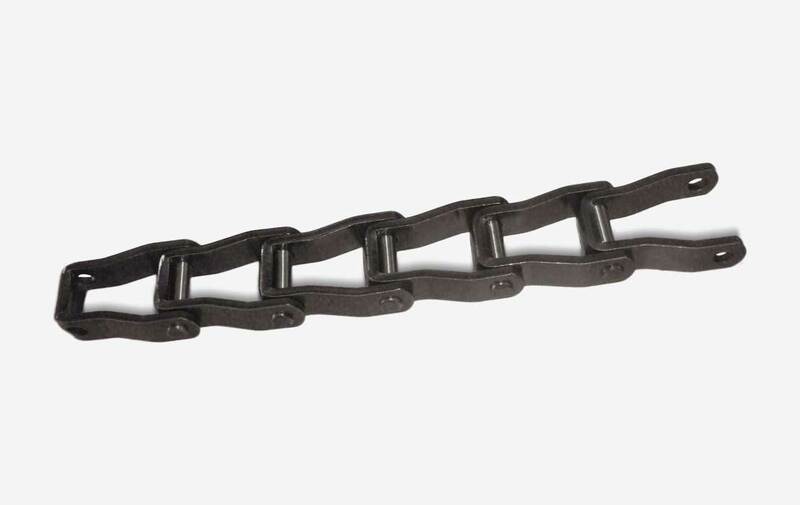 John King Steel Pintle chain is designed for dependability, quality and economy. Its simple style, with open barrel construction, minimizes pin surface contact with chain gearing face, thus reducing the possibility of seizure due to corrosion and the occurrence of material build in the roots of the sprockets. The chain is very suited, therefore, in handling materials with a tendency to pack and corrode. Steel Pintle chain is suited a wide variety of agricultural and industrial applications. The chain utilises all heat treated components with riveted pin style.